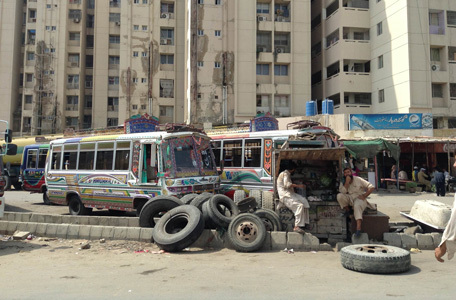 Karachi - When you are in Karachi and want like to appreciate local art, you do not need to visit a museum necessarily. 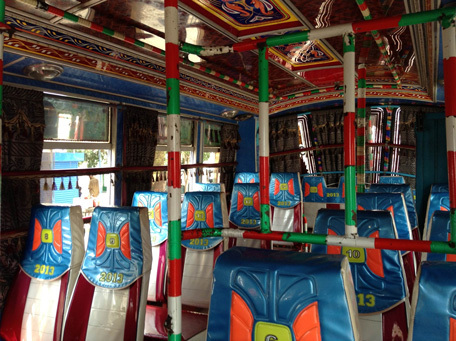 Colourfully decorated buses, trucks, taxis and tuk-tuks are driving museum pieces, locally produced. 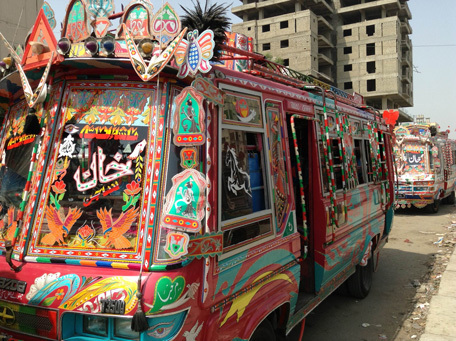 This year's Expo Pakistan highlighted the local art form by incorporating the patterns seen on these vehicles into Expo logo coming back on posters, notebooks, goodie-bags and even in the fashion show. "The ethos of the collection is to modernise ethnic and convert it into something chic and global," was written on one of the folders handed out during Expo 2013. 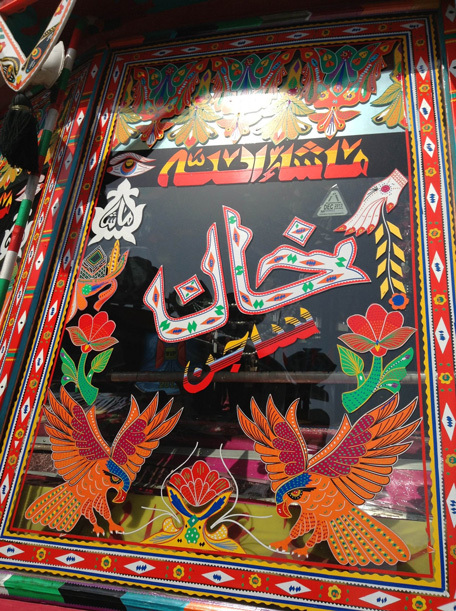 Different styles exist, depending on the region in Pakistan. 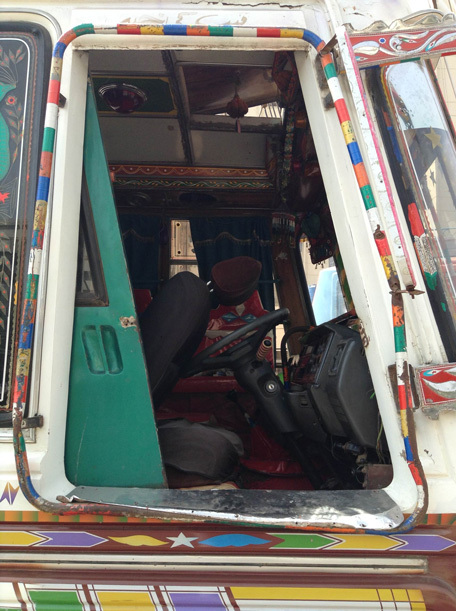 However, Karachi hosting a blend of cultures all styles of truck art are seen in the business hub. Some frequently appearing patterns are floral patterns, landscapes, pigeons, patriotic images or texts, or religious symbols. 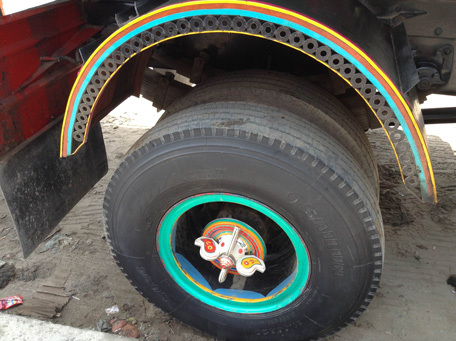 Thousands of dollars are spent on the decoration or modification of the vehicles, however, not a single truck or bus driver would refrain from doing so. 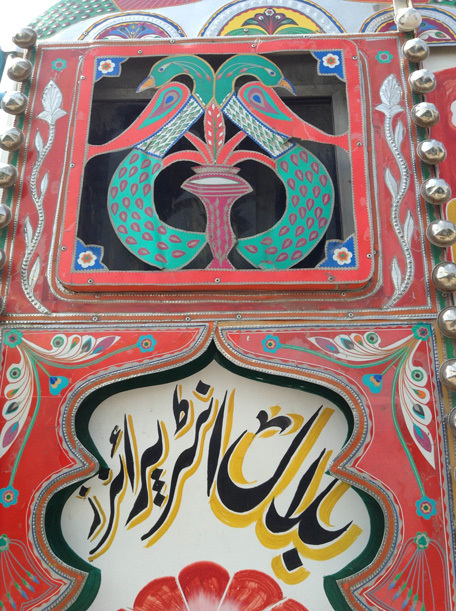 "Given the owner’s and operator’s lack of direct economic benefit in decorating a truck and the absolute pervasiveness of this form of art—it is safe to say that every intercity privately owned truck in Pakistan is decorated — it becomes obvious that the motivation to decorate lies somewhere else. 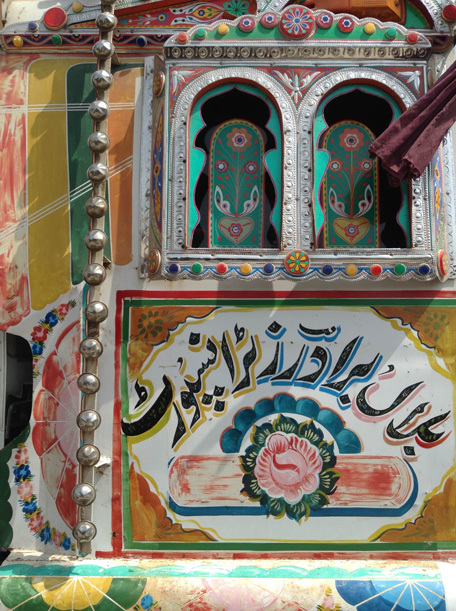 "The motifs on trucks display not just aesthetic considerations, but attempts to depict aspects of the religious, sentimental and emotional worldviews of the individuals employed in the truck industry. 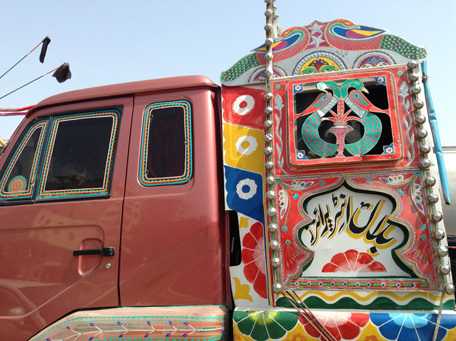 “And since trucks represent the major means of transporting cargo throughout Pakistan, truck decoration might very well be this society’s major form of representational art." 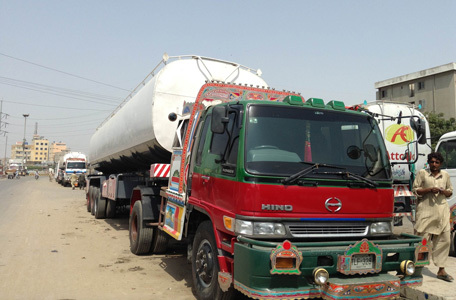 The Trade Development Authority Pakistan, which organises Expo Pakistan, employed original craftspersons to create the Expo theme with the aim of uplifting rural talent and striving to establish ethical practice through fair wages, gender equality and income generation.